Many people clench and grind their teeth during sleep and are unaware of it occurring. This is a common cause of teeth damage and dental work. 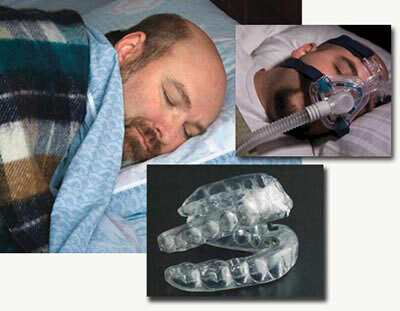 Hence dental sleep appliances have an additional benefit of preserving teeth and dental work during sleep. There are other treatments offered on the internet and in stores and include sprays, nasal strips, rings, pillows and the buteyko technique. These methods are ineffective and not successfully proven treatments and are generally not recommended by sleep specialists and experts in the field.